Davao City is one of the largest cities in the World. Not because of its population, which is quite small, but by virtue of its geographic area. Because there are relatively so few people and buildings in Davao City, there are still many areas of countryside featuring rain forest and lush vegetation, to be enjoyed without ever leaving the City. 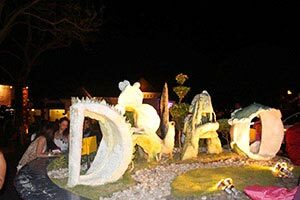 Travel-Davao offers a whole-day countryside tour adventure to stimulate the senses and educate, including first-hand experiences with rare wildlife and plants. 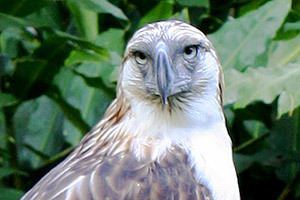 The Philippine Eagle Center is home to 36 Philippine Eagles (Pithecophaga jefferyi), 18 of which are captive-bred. It also houses 10 other species of birds, 4 species of mammals and 2 species of reptiles. Simulating a tropical rain forest environment, the Philippine Eagle Center offers the visitor a glimpse into the country's rich forest ecosystem that once covered almost all of the country. Although the exhibits are used primarily to help educate the Filipino people on conservation, the facility is also a major tourist attraction for foreign tourists visiting Davao City. The Malagos Garden Resort is a 12-hectare nature theme park with cottage accommodations amidst tall and stately pines. 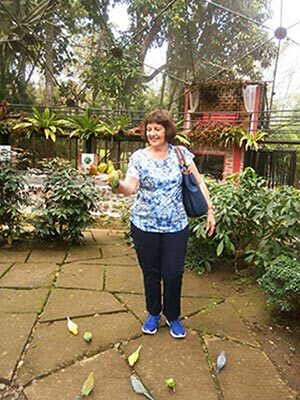 It is an accredited wildlife farm, hosting butterflies, indigenous birds and other wildlife species. It has a collection of assorted plants and other ornamentals. Bird feeding is frequently one highlight of a visit to Malagos Garden Resort Other features of the Malagos Garden Resort include an exhibit of the sculptural artwork of National Artist: Napoleon Abueva. Shrine Hills is a widely popular destination for meditation, prayer, or a simple relaxation amid a lush greenery of tall trees, and rich floras and faunas, and well-manicured grass atop a hilly part of the city, and where fresh and clean air abound with a magnificent view of Metro Davao and the Davao Gulf beyond. It is known for the site of the Shrine of the Holy Infant Jesus of Prague. 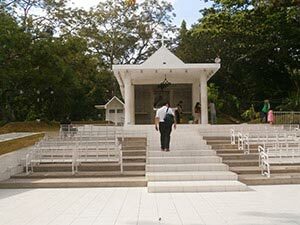 Shrine Hills has a chapel, and is also a seminary and meditation center for Catholics in Davao. People go to Shrine Hills to hear Holy Mass, to pray, meditate, and offer petitions, or simply have quality bonding moments with families, friends or colleagues. It is also a favorite playground for kids. Jack's Ridge is one of the most popular recreational and dining destinations in Davao City. It sits on top of a high and very steep escarpment, overlooking the scenic expanse of Davao City and the Davao Gulf. Jack's Ridge is a very popular nighttime dining experience because all the the bright lights of Davao City and the resort beaches of nearby Samal Island are rolled out for dinners to photograph with or without a selfie in the foreground. At Jack's Ridge one also has the opportunity of imagining some of the tectonic history of Mindanao Island as there are fossilized giant clams embedded in rock at the car park and entrance to the main restaurant, indicating that the Jack's Ridge escarpment was once beneath the ocean. Jack's Ridge is located on a high mountain slope above Shrine Hills, Davao City. The Davao Countryside tour package is a full day event, finishing with a dinner at Jack's Ridge. Travel–Davao make sure you get to the starting point on time and make sure you get safely back to you hotel / resort in Davao City. You will want to bring a camera or mobile phone with a high pixel image unit. 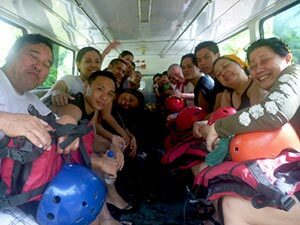 Davao Countryside tour packages include: the transport from Davao City hotels, lunch and dinner plus snacks & plenty of water. All entrance fees for the various venues are included as are the tour guide fees. Accommodation can also be provided at the hotel / lodging of your choice.